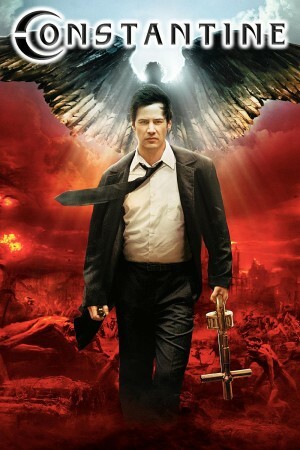 As demon hunter John Constantine, The Matrix's Keanu Reeves fights a new otherworld foe in this eye-opening supernatural action thriller based on characters from the DC Comics / Vertigo Hellblazer Graphics Novels and set in a City of the Angels where spirit-world bounds have broken... and all hell is breaking loose. Armed with a shotgun crafted from a crucifix and assisted by an intrepid cop, he's a spiritual warrior gone to apocalyptic war. Be glad he's on your side.